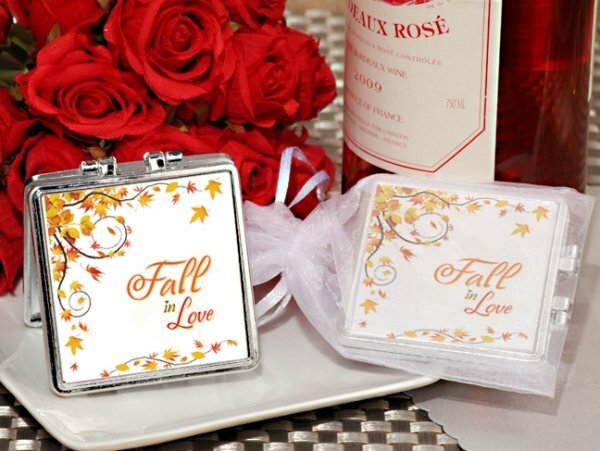 Give your guests these exclusive "Fall in Love" Silver Compact Mirror Favors for a special finishing touch to your elegant event. 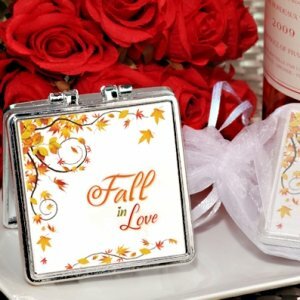 Each silver finish plastic compact mirror includes double mirrors and a white organza gift bag. The perfect practical favors for Weddings, Bridal and Baby showers, Christening, Sweet Sixteen, or any special event.